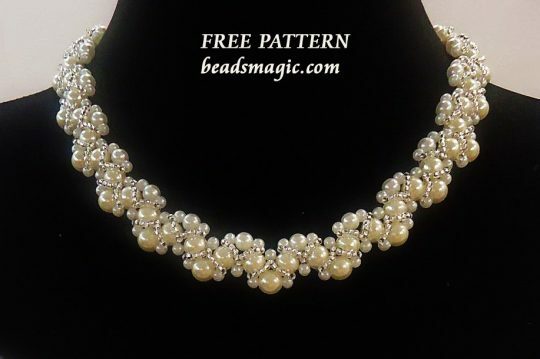 Free pattern for beaded necklace Novia, it is perfect for a bride! Thank you for the nice pattern. Magnifique ! 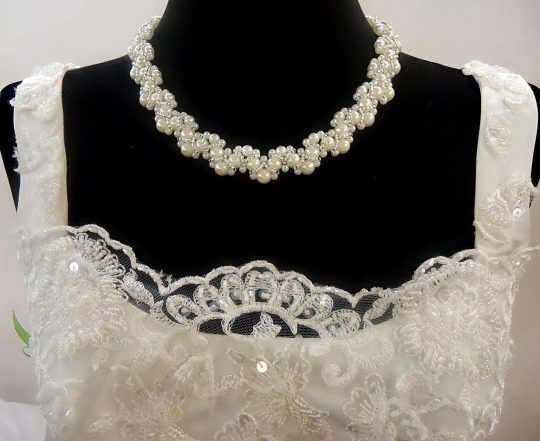 Quel joli collier. Precioso. Es elegante y fácil de hacer. Muchas gracias. 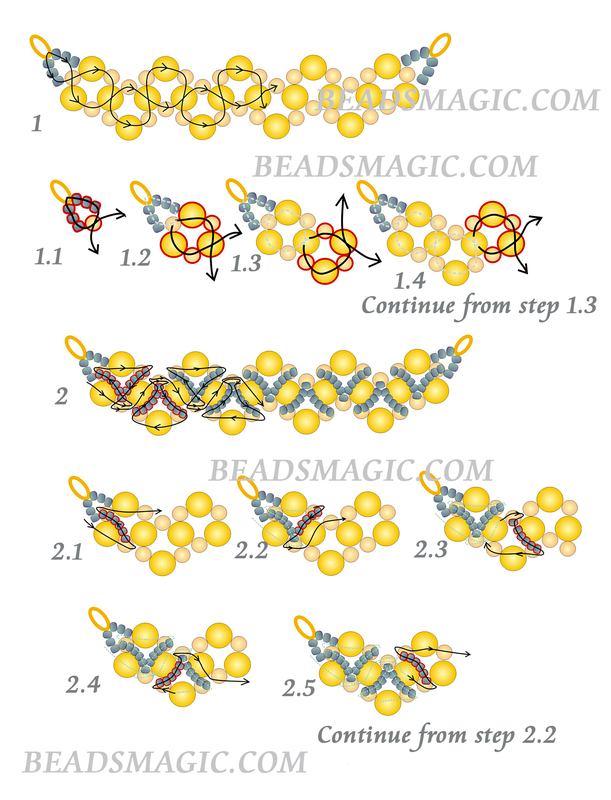 It would be really useful for bead counts next to the listed beads required. I’m sure other people have mentioned this before, if so please forgive me for the repetition. 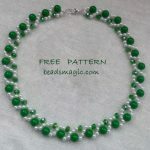 It appears that there are size 8 or even 6 beads on either side of the 3mm pearl and on the inside arch of the bottom set of 6mm pearls on the base round. THe seed beads are added after. 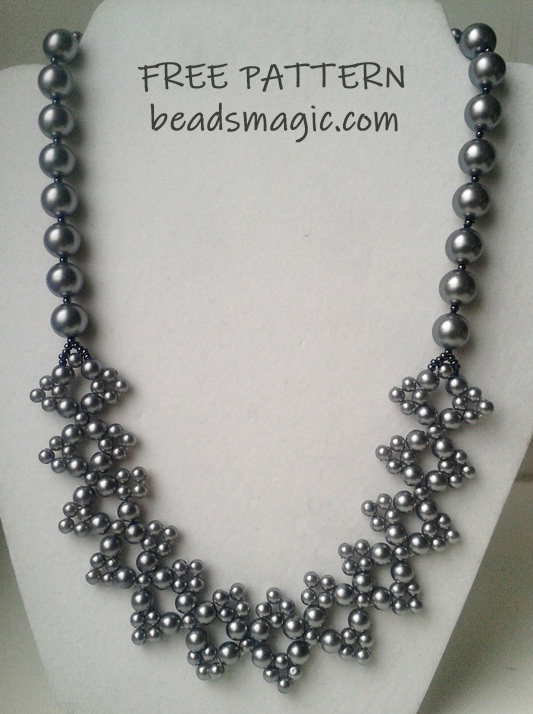 Can you advise what size the larger beads are — or whether they are 2mm pearls in addition to he 6mm and 3mm?